ContentGather is a congregating site for content writers and also content buyers, where ContentGather is essentially the middleman, providing the platform for the exchanges of services. They also have an active user-base to create content and then sell that content to content buyers (website owners, bloggers). So, ContentGather pays money to writers that write content, then ContentGather finds content buyers in which to sell this content to. ContentGather takes a cut from this transaction. What kind of content do the content writers write for? Just about anything, blog posts, press releases, articles, review of products, etc. ContentGather also has on hand, general content that can be sold to anyone within their current inventory. They are focusing mostly on this aspect (pre-produced content) in their beginning stage of deployment of their site. After they have built a solid foundation, they have a strong desire to expand into a larger and more varied marketplace. They are currently emphasizing, but not released yet, until they have a large enough base of writers, for content buyers to post custom writing jobs in which content writers will specifically write for. This custom writing allows for higher pay for content writers, thereby making available more money to be earned. So essentially, they have pre-produced articles, then they will eventually also have custom articles, which is more catered to content buyers needs. ContentGather is holding cards up their sleeves. As throughout their site they tease us with once their base is built up with content writers and the unveiling of the custom jobs, they have greater plans and more unique offerings laying in the weeds. Waiting to be unveiled in the future. I don’t have any idea what it is, but I like that they are sharing this information and keeping me interested in it. I will update this as they progress. This site used to be called Postloop, I wrote a review on Postloop and it can be found here Is Postloop A Scam? I like the name change as it clearly reflects what the company does within its name and just makes more sense and easier to understand what they are about. As of November 1st, 2016, the switch was made as a spinoff from PostLoop and officially stuck the fork in Postloop. That site is dead because it now directs you to ContentGather.com. The difference I see between the two websites is apparent, is that forum posting is no longer available and content, in general, is more of the focus. As forum interest has declined and content is rising with no end in sight. If you are interested in becoming a writer at ContentGather, I really suggest you read their FAQ for writers to get a full understanding of what is expected of you at ContentGather. Have a strong understanding of the English language. Need a PayPal account, the only method of payment. Marketplace is where you can see the currently available articles written. They have 45 different subject matters in which to peruse, which vary from alphabetically from animals to video games. Next to the general subject matter is a number of currently available articles which to purchase. Clicking on the subject brings you to the specific subject within the general subject, the author, word count, price per word, final price, and staff rating. Articles can be anywhere from 250 words to a max of 1500 words. Basically, there are three areas that editor are looking for style, the value of content, and grammar. Once your article is approved, the editor will give a rating to it. So, what are the editors looking for? Uniqueness, content, style, and grammar. So, the better all of these qualities within your article, the higher the rating. Some article that have good content but low ratings can be sent back for revisions, so there is a chance to improve an article rating and also receive a higher pay. Buyers see this specific staff rating in the Marketplace and determine if it’s worth buying. These ratings are a work in progress and may change in the future. Content Rating: the average rating that you have received from all submissions, including those that are rejected or returned for edit. If you submit an article that initially receives a 5 and is returned for edit, and then receives a 7 upon approval, that article will effectively contribute a 5 and a 7 to your average. Approval Rating: the percentage of articles that are ultimately approved vs those rejected. This does not take into account articles that are returned for edit. It only compares the final approved or rejected status. Account Age Rating: based on the length of time that your account has existed at ContentGather, and you will not receive your first point there until your account reaches 1 month. Transactions Complete Rating: tracks the number of Marketplace articles you sell and Custom Jobs you complete. 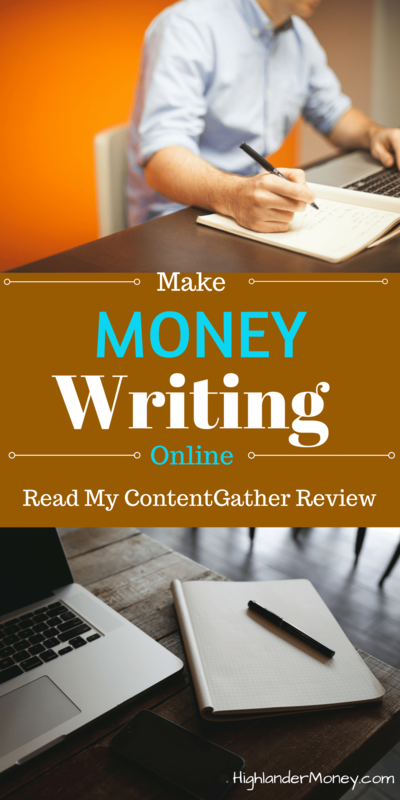 How Much Money For Writing At ContentGather? At ContentGather pay is paid per word. New writers can charge up to .03/word for your articles. So you the writer decide how much you charge based on your rating. The higher the rating, the more you are can charger per word. As your title goes up, you will have the power to increase the amount charged per word. The maximum rate is 0.15 per word, and the minimum is 0.01 per word. A side note here just because you can ask for 0.15 per word doesn’t mean content buyers are willing to pay that much. So you are probably wondering how much does ContentGather make off your writing? They take 15% out of the asking price. As a content writer you can request payment anytime you want as long as you have a balance of $5.00 or more. As it will be delivered within 24 hours via PayPal guaranteed. Holy!!! You can cash out every day if you want to. NICE!! Self-admitted they are currently a small website, they have a real desire to grow and expand their site bigger. Gotta love ambition and this is a definite good thing. The parent company has been around for 8 years in the online products and services. Progressive thinking where they strongly focus on the very specific needs of their users base. This is to cover and add value to all potential customers. I know Postloop, Ryan Royal was constantly visible on the forums, answering questions and generally helping out AND I am sure he is and will be actively engaged in ContentGather. He is a very thoughtful and cares a lot about his site. I like the name change and the redirection of the business. For content, buyers rest assured staff at ContentGather reviews every piece of content and also has been Copyscape approved. Copyscape is a plagiarism checker and checks if your articles are original. I also hear that Grammarly will also be used. Content buyers dictate how they want articles and also when they want it. You also determine the price, and there is no fees or packages. Also, you only buy how much or how little you want, unlike other similar websites. They currently have a promotion for content writers for the first 100 articles a $5.00 bonus for a 500-word article if it is approved by ContentGather. There is an Overall Rating for each content writer, that tracks four key areas. They are Content Rating, Approval Rate, Transactions Complete, and Account Age to give you an overall rating. This is helpful to both writers and buyers. A leap of faith to transition to a different genre and to refocus its business strategy to something else. I see this as improvement, and I applaud this. Being a writer doesn’t unqualify you to be a content buyer as well. As if you need specific content, you could write about what you know then have that sell, then purchase content that you specifically want. 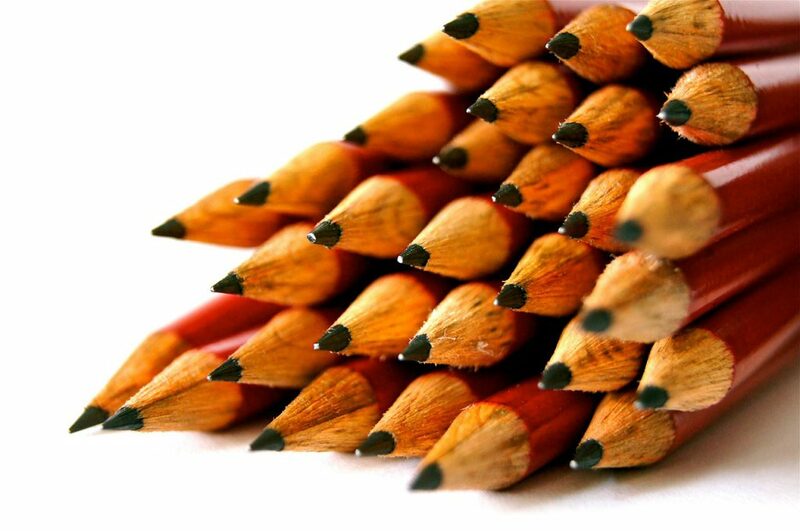 Less focus on grammatical errors, as grammar will still be important to the approval stage it’s not be all end all. The owner listens to all concerns and ideas for improvement. Once your article is approved, you receive 20% of the asking price without it even being sold. No limit on how much you can write here at ContentGather. 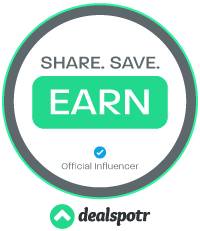 ContentGather has an active referral program in place now, if you would like to support my website and found this post helpful, please join here, ContentGather Join. Currently does not have an affiliate program, but in the FAQ, there is light in the tunnel as it says stay tuned. Currently, at the time of writing (11/14/2016), ContentGather is in its restructuring phase and is slowly acquiring content writers. This is only a negative because it’s new and all feature and not fully 100% launched. But the positive of this negative is they are slowly building a foundation of dedicated writers, which is the critical component of this business. As it is actually a good sign of smart leadership. You get paid when someone buys your article, not when you write it. This is a minor negative as nobody wants badly written articles, this makes good writing the norm. At the time of writing this, not many articles available to choose from for content buyers, but it is also a new company. Content is no longer yours. They have the right to put their name to your work and also to modify as they seem fit to. Thus giving you no credit, other than getting possibly getting paid for it. I highly suggest you write about what you know, as we are each individual and we each know of unique subject matters, which we can easily write about without researching. This is much faster than having to research a said subject and then write about it. ContentGather is not looking for perfection in writing. There is three area of concern that editors are going to be looking for style, the value of content and grammar. Do these three things and reap the rewards. If your writing about a subject you know nothing about, do the proper research, don’t guess. Make it informative and interesting as possible. Write like your talking to a friend. The longer the article and more words written the more you are paid. Keep this in mind when writing. But avoid padding word count. If you are a content writer, fill in your profile information. Why? Because it increases the level of trust a content buyer has in you. Trust is always preferred over unknown. 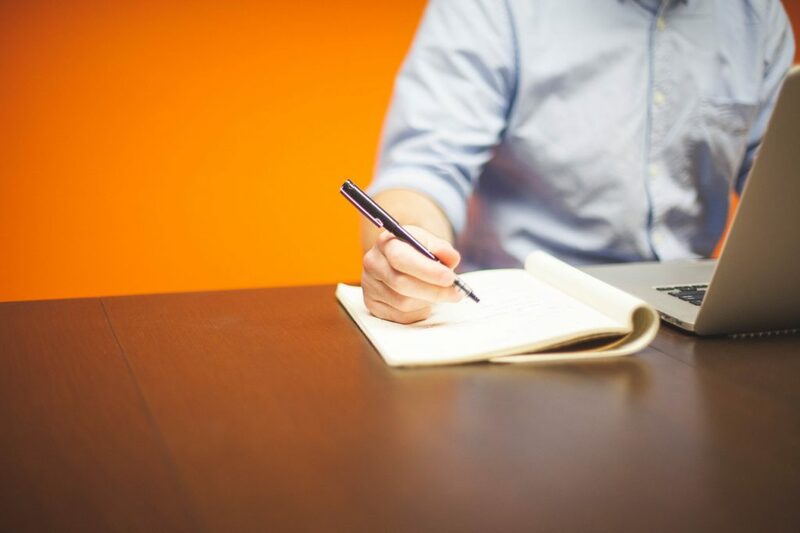 For writers, you should be re-reading your articles before submitting them. Looking for grammatical errors as well as spelling errors. This will help ensure getting approved and a higher rating. I highly recommend using Grammarly. Grammarly finds mistakes in your writing, either spelling or grammar errors. They have a free version which is good but they also have a paid version is really good at finding mistakes. Try to avoid writing in the first person. Other similar websites if you like to write and looking to earn money from writing. BlogMutt – A great website that is geared towards quality content and very supportive of writers. You can read my full in-depth review here, Is BlogMutt A Scam? The Forum Wheel – Another company that pays for writing, check out my review here, Is The Forum Wheel A Scam? ForumCoin – Writing to forums, while also getting paid to. Is Forum Coin Legit? Wealthy Affiliate – This is creating and writing for yourself by owning and operating your own website. Wealthy Affiliate teaches you everything you need to know. I highly recommend this, you can read my full review here, Wealthy Affiliate Review 2016, Legit Money Maker? iWriter – Another site that pays writers to write content, also a place to purchase content for your websites. To find out more read my review, What Is iWriter? ContentGather is for anyone who likes to write and get paid for it. It is also for owners of websites looking for material (content) in which to post to their sites. This review is geared mostly to generating money for writers. As I review mostly website that deals with working from the comfort of your own home. So, if your someone who enjoys writing and wants to make extra income from your home, you should definitely give ContentGather a try. Currently, I do not see any tools or training that is available at ContentGather. They provide adequate support for their site. They have a Contact Us Page and also an FAQ page to help with general questions. Although a new website, this company is backed with years of experience of running similar websites. They are freshly building a base of content writers then once that is established, other growth lies on the horizon. This company is intelligently run and designed with the future in mind. This is a great way for writers to start pulling in income and also a place for website owners to look for content for their sites. This will only get better in time. I can highly recommend ContentGather knowing all I know of this company. So, if you are a writer and need extra money, feel safe to try ContenGather out. If you are looking for a 100% legit way to make money, all the while using your talent of writing and by owning your own online business. Wealthy Affiliate provides the best training online along with the most helpful and friendly community online, with all the support to get you building your online business. I recommend you read my #1 Recommended Program and sign up to get started today. There is no better program out there. I have registered at contentgather.com couple of days back.I submitted an article in marketplace. It was approved. Then I submitted an article for a custom job. They have rejected that saying it has lot of grammatical errors. I submitted an article again for a similar custom job. They have rejected that too and suspended my account. I checked both my articles with online grammar checking tools. It could not find any mistakes. I don’t know the reason for rejection. But it seems that the site is very rigid. If anyone is working on this website, please post your suggestions. Yes, if anyone is currently submitting work please post some suggestions. I would try to use the contact information found on their site for support. Or also try their facebook page. Ryan is usually very helpful and friendly. I’ve just recently signed up at CG as a writer. Even though I have NOT yet submitted any of my work, I have developed a rather negative opinion of the place. After being around for a couple of years now, they still do not seem to have every aspect as promised up and running. They are still doing the same lay it in the weeds, here’s a tease tactic that they’ve pulled since this author wrote the above article. Also, “Dan” doesn’t seem to have mentioned (unless I somehow missed it) a CRUCIAL aspect to writing for CG….one paid for, the work is no longer yours. The buyer can make any alterations to it that they see fit to make, and are given rights to claim it as their own work, even if they do not make one single change to the article. Places like CG are meant not only as a place for site owners to get well written content, but they are also a way for new writers to get their work out there. With CG, their work gets out there, but their name is never attached to it. That doesn’t help at all. I’m not a new writer. But even as a seasoned & published author, my work is MINE. NO ONE should have the legal right to claim my words. These are just two of the reasons why, after only one week, I’ve been scared off of ContentGather. And I urge any author to seriously consider these two huge points before submitting any work there. Dan is my real name and I am a real person and I wrote this article. I have never paid for articles written on any of my sites, I wrote them myself. Even though this is commonly done on many websites, probably most of the websites you visit and frequent. If that is what you are implying by putting my name in parenthesis. I also plan on having some guest writers in the future, this would clearly be marked in the article when this happens. Not appreciated when you assume something or vaguely imply it. Just as you want to lay claim to your work, I will lay claim to my work. It’s insulting to me that you imply I didn’t write any of my articles. I specifically avoided paying for content, mostly to improve my own writing skills and to learn, as this needed improving. I guess I should have included it in the article but I think it was an oversight on my part. I will add it to the page. Glad you brought it to my attention, thank you. If you want credit for all your own work, I’d suggest you build and create your own website. Like I do, then you get credit for all of your own content until some random person vaguely implies you didn’t write the article. Huh? If you seriously want to get started, head on over to my review of Wealthy Affiliate, it properly teaches you how to build your own website. I am currently a paid member and this is where I continue to learn.